OIL Finishes | Page 1 of 1 The oils penetrate deep within the wood to highlight the warm natural look and the urethane ensures a deep hardness. For a gloss finish follow with multiple coats of Arm-R-Seal topcoat. 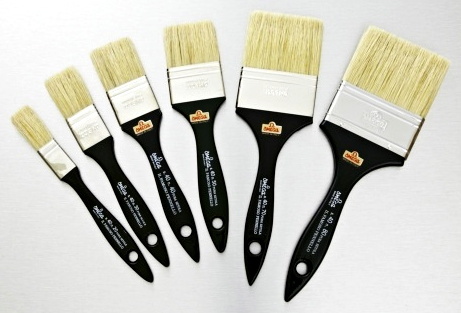 Seal-A-Cell can be wiped on or applied with a natural bristle or foam brush. and as a base to add universal tints to achieve custom colors. Seal-a-Cell has a very slight ambering quality, the least of GF's oil based sealers. of all the oil finishes, it is also the most durable. Tung Oil is also used to manufacture many different types of varnish. Use only on new bare wood or on wood that is fully striped, clean and ready to be refinished. Apply with a small rag. (especially for penetration on hard woods and first coats). Avoid Spontaneous Combustion - Dispose of rags properly. Monkeypod, Zebrawood, Rosewoods and other similar hard dense woods. 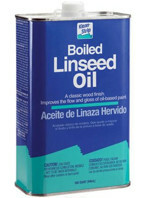 linseed oil and most other finishing oils which become tacky when exposed to heat. to water-marks, scratches and warping. This classic wood finish and natural protectant is produced from the flax plant seed and processed so it will dry faster than raw linseed oil. -- Qt Can -- Avoid Spontaneous Combustion - Dispose of rags properly. for Wood Cutting Boards, Chopping Blocks & Salad Bowls. FDA approved mineral oil that does not contain any dyes, perfumes, additives or peanut oils. Cutting Board Oil will not turn rancid. The mineral oil used in Howard Cutting Board Oil is from virgin mineral oils and has no contact with nuts or gluten or other potentially allergenic materials either in production, storage, or transport.